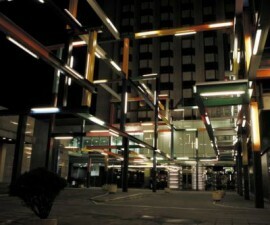 The HF Ipanema Porto is a distinctive modern hotel located in the heart of Porto, Portugal. Recently renovated, the hotel boasts tasteful furnishings with clean lines and a pleasant palette, retaining a feeling of welcoming cosiness whilst shouting sophistication from every corner. The HF Ipanema Porto forms part of Portugal’s HF hotel group. 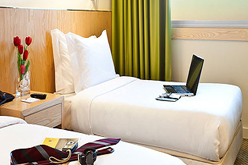 Known for their dedication to customer service and quality, the group offers several hotels throughout Porto as well as in Portugal’s capital, Lisbon. The HF Ipanema Porto offers a variety of rooms in diverse sizes and with a range of layouts to suit families, individuals, couples, business travellers and groups. 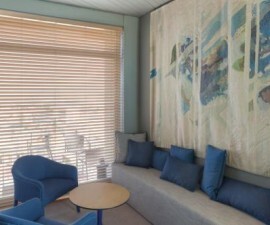 All rooms are fully air conditioned and equipped with free Wi-Fi internet connectivity. 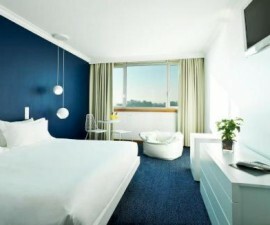 Spacious and bright, they include cable TV, sport TV, mini bar and comfortable working areas. The higher floors also offer superb views out across the rooftops and spires of the romantic yet bustling city of Porto. For those looking to enjoy Porto on a budget, but with all the facilities of a four-star hotel at their feet, the basic rooms are the perfect compromise of style and substance. Located on the first floor, these rooms are round 25 metres squared and are furnished with two single beds. Standard rooms are slightly larger and furnished with twin or double beds, whilst those in search of the delicious views over Porto can opt for a superior room on the 6th or 7th floor, with complimentary dressing gown, extra-large pillows, bathroom toiletry accessories and a double plus a single bed. Families are well catered for at the HF Ipanema Porto, with rooms of 38 square metres, equipped with microwave plus double bed and bunk beds, suitable for two adults and two children. If your children are older or you are travelling in a group of adults, consider booking a quadruple room of a similar size, furnished with two double beds and two single beds. Traditional Portuguese cuisine is on offer at the Rio Restaurant, which also offers room service throughout the day and evening. Or for a drink and light snack, head to the hotel bar. The hotel reception staff will be pleased to organize laundry and cleaning services, babysitting, car rental, bike rental or shuttle services, as well as provide helpful hints and tips for getting the most out of your sightseeing in and around Porto. Rua do Campo Alegre, 156/172? Tel: +351 226 075 059? ?